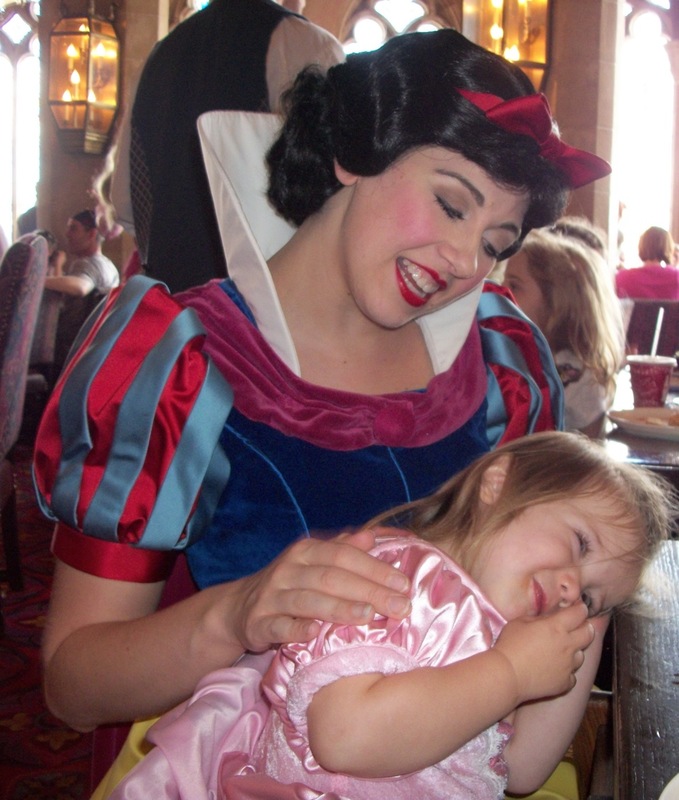 Someday I'll Sleep Autism Blogs: A Princess Adventure! Sadie and Mae had another big day today. The highlight of today was princesses. 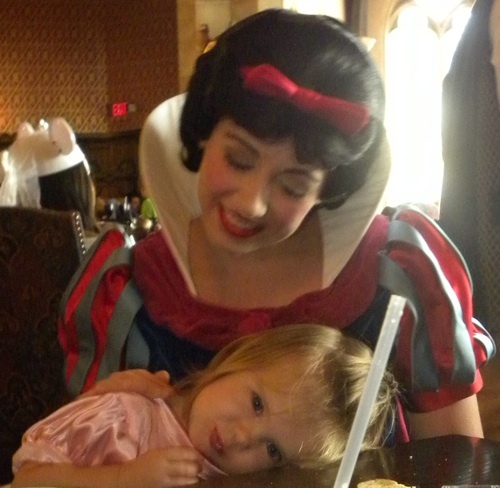 First Mae got to meet her favorite princess: Snow White. Mae Bae will only play with Snow White dolls these days. And when we met the princesses it was pretty apparent that she recognized her favorite princess. She was a little bit shy, but her little smile gives away how thrilled she was! Belle was another favorite. 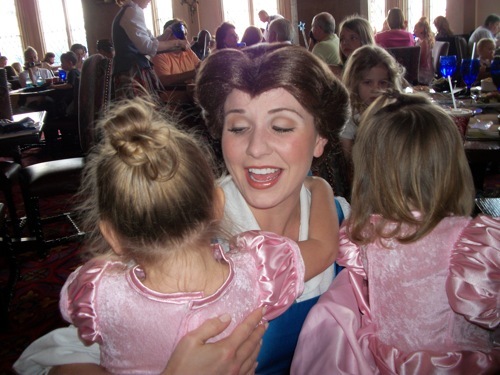 While Sadie will tell you her favorite princess is Aurora, she kept hugging Belle over and over again! 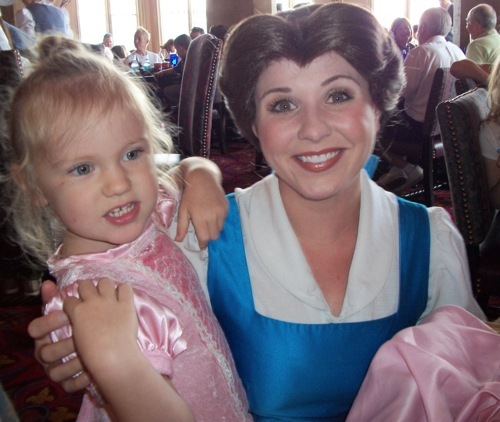 Sadie was a little bit shy when it came time to meet her favorite princess! But she did give her a hug and she got an autograph in her princess book! 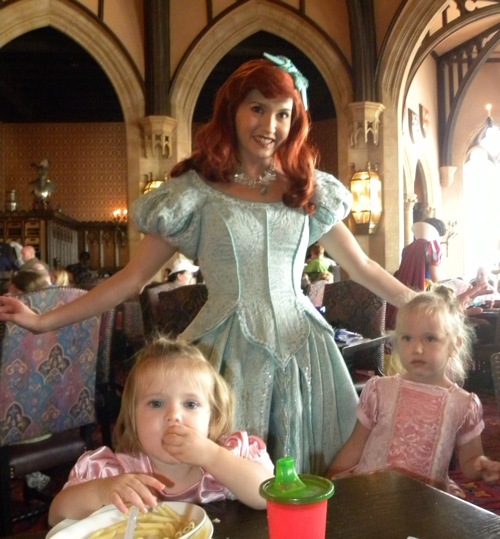 And we also got to meet Ariel! We weren't quite up to standing in the very, very, very long line to meet Rapunzel! 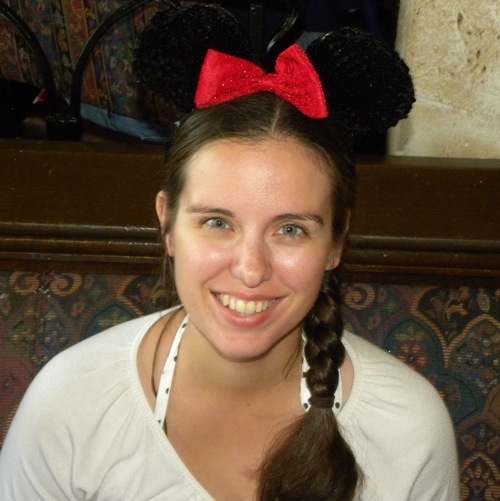 I wore my mouse ears. We couldn't convince Daddy to get a pair. As a side note... I feel like my three time broken nose is definitely more noticeable since the latest break. Maybe someday I'll get it fixed (the damage on the inside was pretty bad before the latest break!)! In the meantime, I'll work on not walking into things (what is it with people in this family and walking into walls and doors?!?!)! And here we are on Mae Bae's favorite ride. On our second trip through she started to fuss when we got to the end because she didn't want to get off the ride! I love your pictures!! Where were the princess ones taken? 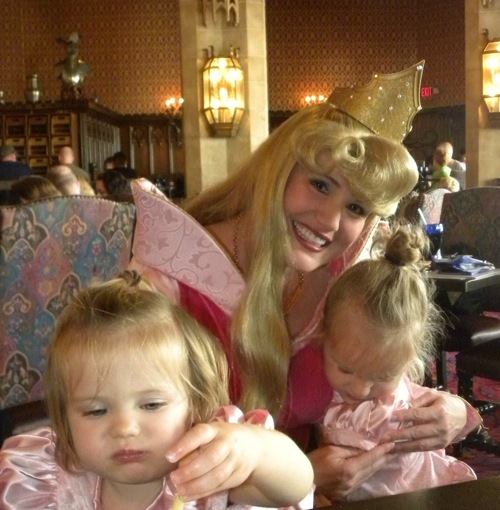 We did wait in line to see Rapunzel during our last Disney trip... never again, though. I think we're going to brave the Rapunzel line as soon as the park opens and hope that it's short! They were taken at Cindarella's Royal Table (I think that's what it's called), the restaurant in the Castle. I guess the wait is usually months to get in, but we lucked out when a reservation suddenly became available when I was online looking for places to eat for a character meal! You've made me completely rethink my position on taking Vince to Disney. He's 2, and I honestly didn't think he'd get much out of the experience until he was closer to 3 or 4. Apparently I'm out of my mind and am now looking into Disney vacations. Ha ha. I hope the girls are still having a great time!